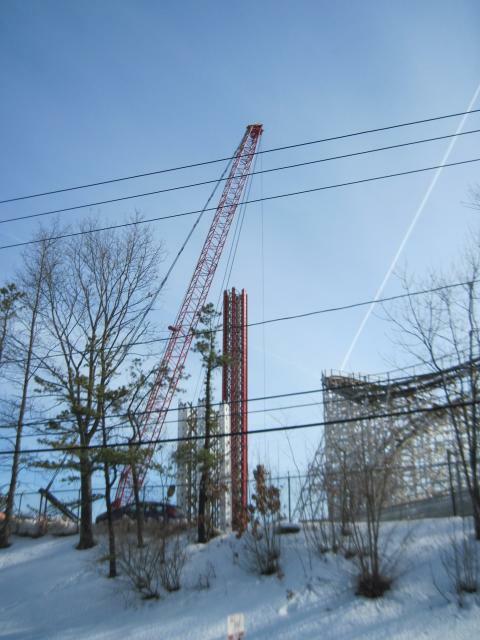 Last week we brought you our construction tour update for New England SkyScreamer. When we were in the park they only had the base put in. Today we were in the area and decided to check out how much work they had gotten finished in a week. 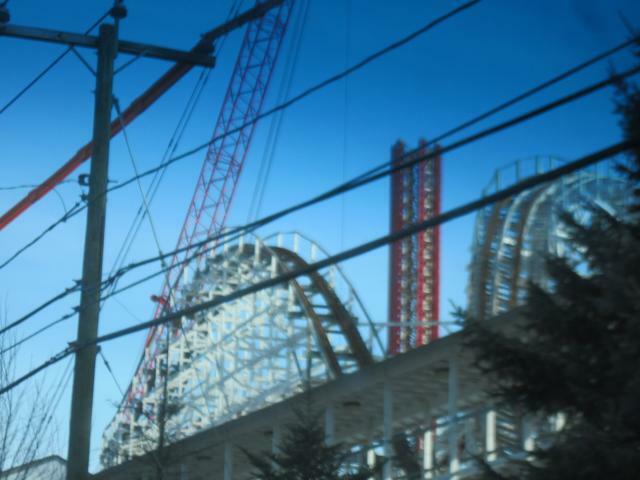 This is our second construction update of the new ride. Hope you enjoy! 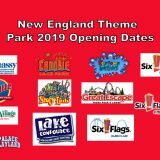 Coming up from Connecticut you can already tell that the skyline of the park has been forever changed. 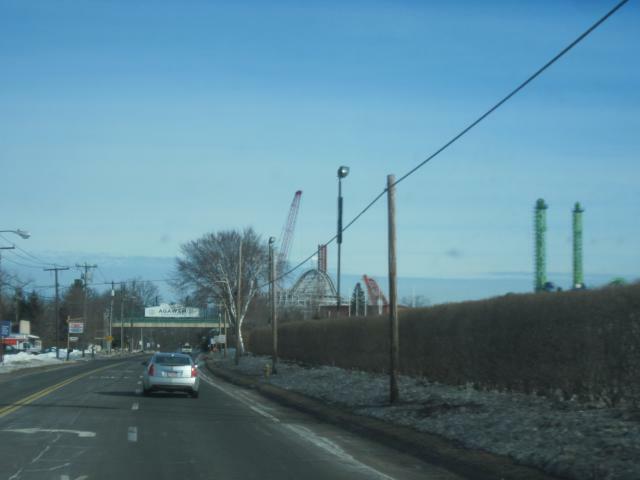 While it’s kind of hard to tell from this angle, New England SkyScreamer is now officially taller than Cyclone. The red section is now complete. You can see the next piece, the first of the white section, waiting to be placed. 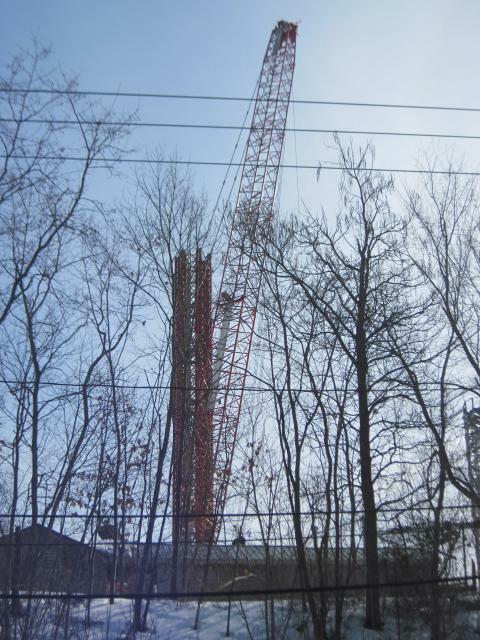 The red section is approximately 150 feet in the air. There is about another 250 feet left to go. 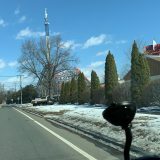 If you combined Six Flags Discovery Kingdom’s SkyScreamer and Six Flags Great Adventure’s SkyScreamer, New England SkyScreamer would still be taller. Think about that for a second. 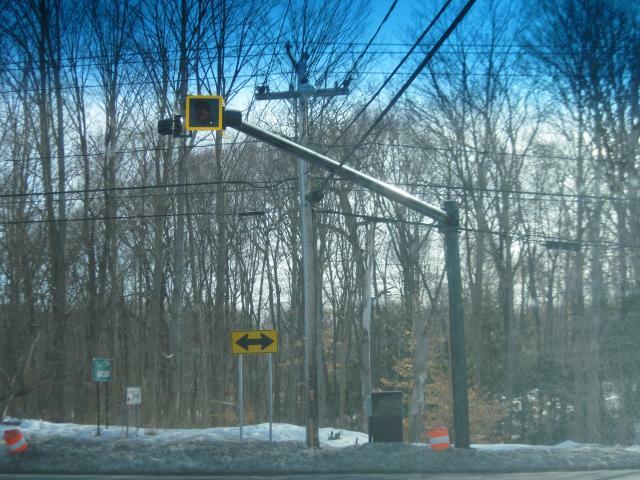 This last picture is a shot of the new traffic light installed before the park if you’re coming from Massachusetts. 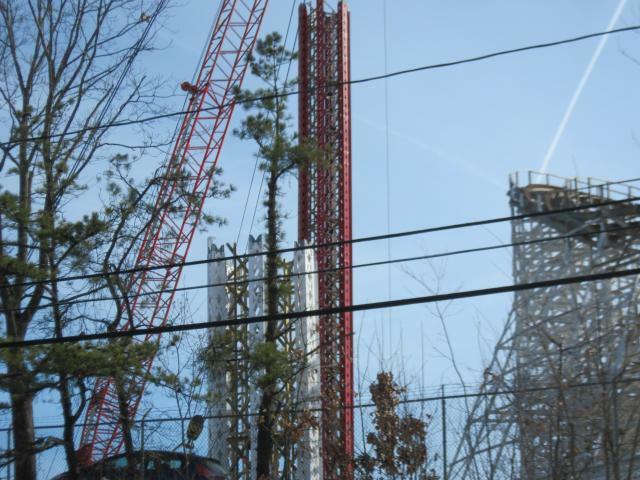 You may recall that we included pictures of this construction during our first New England SkyScreamer update back in December. Now it’s pretty much complete. 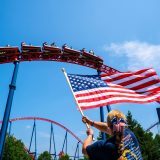 Today we also got some info about the construction timeline. 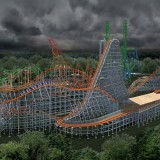 On Friday the park expects to hit the halfway point. 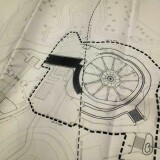 By Friday the ride carriage will have been placed on the tower. 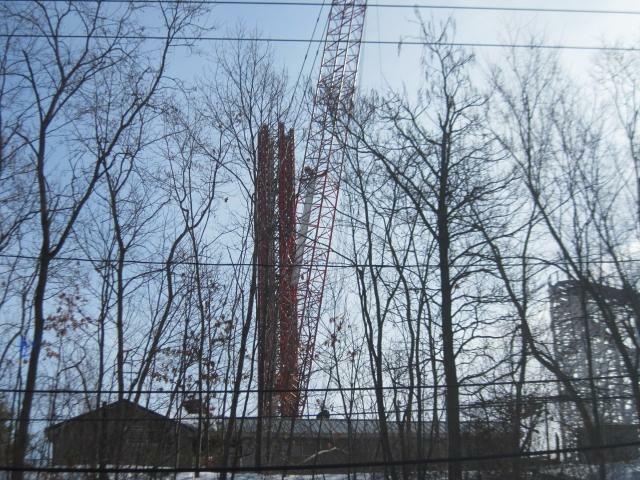 Then on or around March 20th they expect to have the tower complete. Keep in mind though, this is all barring any complications due to weather. This winter has been a strange one and it’s not like we haven’t have random March blizzards before so anything is possible. Once the tower is complete there is still a ton of work to be done; pouring the rest of the concrete for the load platform, installing fences, building the queue and queue house, landscaping, etc., etc. Click here to discuss this update in our forum. 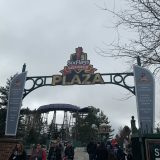 Next story Which Six Flags New England coaster should be the next to get a POV video? 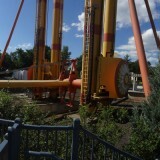 Previous story Poll: Which Goliath train do you prefer? 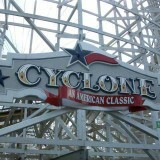 The ride is looking great. It’s amazing how tall it looks yet it isn’t even half way up.